We have an amazingly spiritual January on the way. 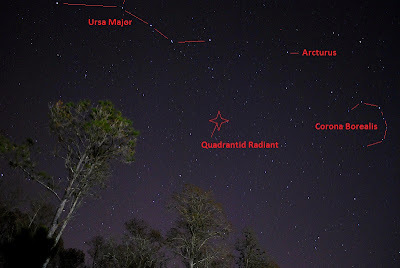 On the 3rd and 4th January we have the wonderful meteor display, the Quadrantids. “The annual Quadrantid meteor shower is expected to produce the greatest number of meteors in the wee hours before dawn in early January. Best yet, there will be no moonlight to ruin the show in 2014. In fact, it’ll be a big challenge to catch the young moon and the planet Venus low in the western sky at dusk on January 2. The moon will set at early evening for the next couple of nights, providing us with moon-free darkness for meteor watching. On 4th January the sun will reach it’s Perihelion with our earth, this means it is much closer to us than normal. This will be a fabulous day to make some energizing sun water; or just to get out there and enjoy the wonderful warming and power giving rays of our amazing sun. 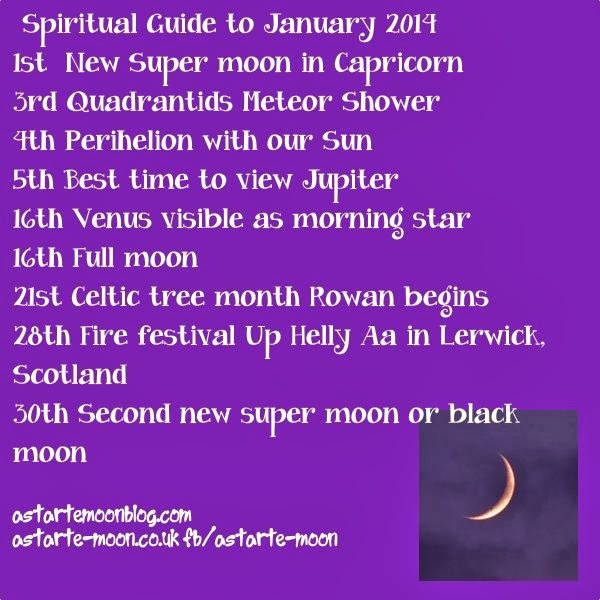 On 16th January we will have a full moon. This is time of increased energy all around us, a great time to be active and creative. On 21st January we start the Celtic tree month of Rowan. The Rowan tree shows us strength and power to see us through the cold winter months. 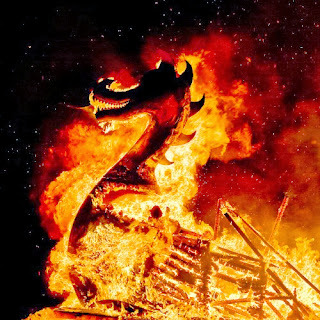 The 28th January sees the fire festival of Up Helly Aa. This is a festival marking the end of Yule and has it’s roots in Norse traditions. 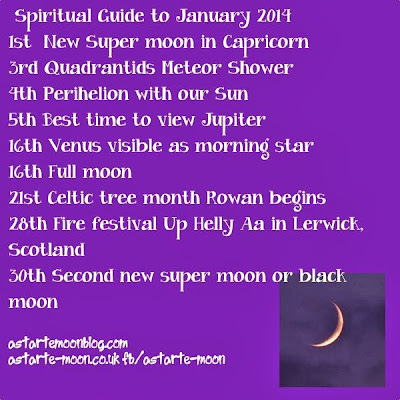 On 30th January we are blessed with a second new moon. As it is the second new moon or sometimes referred to as dark moon in the month it is called a black moon. Again this new moon is a supermoon being very close to our earth.